To say the new Iron Man 3 trailer excites the tweens and dads of Los Tweens would be a HUGE understatement. The dads have used the entire Marvel series as bonding experiences with their tween daughters. And they patiently await every new film coming out. By the looks of the trailer, Iron Man 3 will live up to the hype! 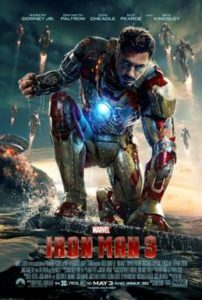 Iron Man 3 picks up on the story of Tony Stark/Iron Man and his fight against an enemy which knows no bounds. When Iron Man finds his personal life has been destroyed, he seeks revenge. Iron Man 3 stars Robert Downey Jr., Gwyneth Paltrow and Don Cheadle. View the trailer and stay tuned as the excitement builds for the May 3rd release!